Will put your boat within 3 meters of your waypoint in most situations great for revisiting fishing hotspots. Interfaces seamlessly with charting systems, track plotters, autopilots and other NMEA-0183 systems. Corrections are uplinked to satellites for complete U.S. coverage and out to 200 miles offshore. 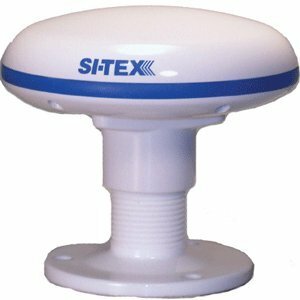 If you have any questions about this product by Si-tex, contact us by completing and submitting the form below. If you are looking for a specif part number, please include it with your message.